You no doubt understand your products and services extremely well, but do you know who you’re selling them to? All products and services will have a target market, a group of clients and potential clients who will be most interested in your products and receive the most benefit from what your business has to offer. If your company is going to be successful, you need to know who you’re talking to with your marketing and what you should say to them to make it more likely they’ll buy from you. Here are some ways to identify your most likely target market. What are you offering? The more specialized your products and services, the more narrow your target audience will be. Broad, sweeping marketing messages are not effective at reaching the people most likely to want what you have. Identify the type of person you’re marketing to and know how your offerings will affect that type of person. Then proceed with marketing strategies designed to appeal to that particular market segment. Understand customer demographics: When you know the important demographic characteristics of your clients and potential customers, you’ll know how your products and services can help them solve their problems. From there, it’s much easier to craft an appealing marketing message. Acquire customer data such as ages, gender, income level, family status, geographical location, educational level, hobbies and interests, spending habits, and demonstrated needs. Knowing this information will let you focus your marketing on those who are most likely to respond. Know your competition: Research your industry to find out who else is competing for the same customers. Local and national companies, online merchants, and specialty stores can all be competition. Understand what it is about your competition that might make potential customers believe they are a better choice than you. When you know that, revise your marketing (or your products and services) to improve existing customer loyalty and counteract your competitors’ strengths. 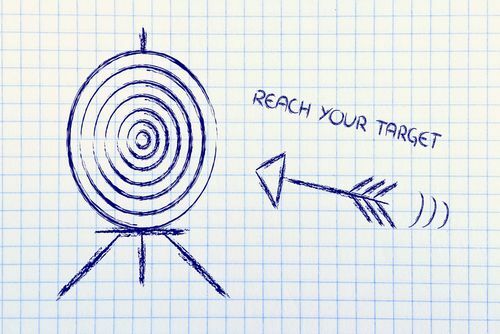 Do you have a clearly defined target audience in mind for your marketing strategy? What could you do to clarify and refine the characteristics of your target audience?